The flight bound for Hat Yai in Thailand landed safely at the city-state's Changi Airport at 3:23 pm (0723 GMT), said an airline statement. Singapore: A flight operated by budget airline Scoot was Thursday escorted back to Singapore by fighter jets after a passenger allegedly made a bomb threat, police and the airline said. It had taken off from Singapore about two hours earlier, the city-state's Straits Times newspaper reported. 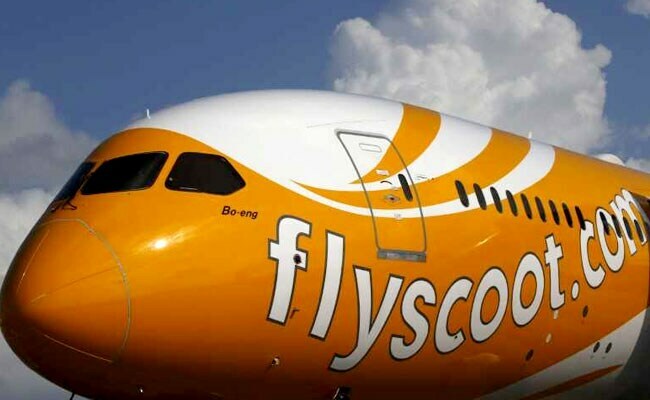 It was escorted by Singapore air force fighter jets, said Scoot, which is the budget arm of Singapore Airlines. The Straits Times said this was usual procedure for such incidents. "Scoot flight TR634 bound for Hat Yai has returned to Changi Airport due to an alleged bomb threat on board," said the airline statement. "We're working closely with the authorities for necessary follow-up to ensure the safety of our guests." Singapore police said in a statement that "a report was received regarding an alleged bomb threat made by a passenger on board flight TR634. "Police officers are currently conducting checks."